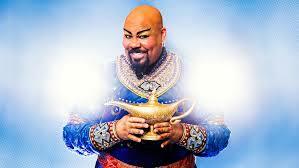 The genie slowly coalesces out of the lamp and addresses his finders. The genie grants his wish and he scoops up his money. The genie grants his wish and he drives off. The third guy contemplates some more before he finally speaks.